In March this year, the Welsh minister for health and social care, Mark Drakeford, announced a policy goal of reducing the number of looked-after children in Wales. In Wales, I believe we take too many children into the care of public authorities. We do so at an accelerating rate, and at a rate which increasingly diverges from that to be found just across our border. There is a significant difference between the relative numbers of looked-after children in Wales and England. In 2014, five of the 10 local authorities with the highest rate of looked-after children were in Wales. The pattern is repeated even in the local authorities with the lowest rates; a child in Monmouthshire is more than twice as likely to go into care as a child in Richmond-on-Thames. On average, a child living in Wales is one and a half times more likely to enter the care system than a child in England. There may be a range of reasons for this difference. Some believe that the rate of kinship care within the looked-after system is high in Wales; others that many children are living at home under care orders. So, perhaps it is just a question of over-formalisation of safe family arrangements. Is the full-scale bureaucracy of looked-after status the only way that families in need can access support services? Or are state agencies over-zealously removing children from their birth families? How far does this picture reflect the relationship between children’s chances of being looked after to levels of area deprivation, or regional inequality? Drakeford’s announcement highlighted the new Social Services and Wellbeing Act 2014, due to be implemented in April 2016. The act will ‘support local authorities and practitioners to re-engineer services for children and families’. Section 17 Children Act 1989 will be repealed and parts 3 and 4 of the new act will cover assessing and meeting both adults’ and children’s needs. Part 6 of the act replaces all the looked-after sections in the Children Act; consultation on draft regulations and guidance on Part 6 closed in July. 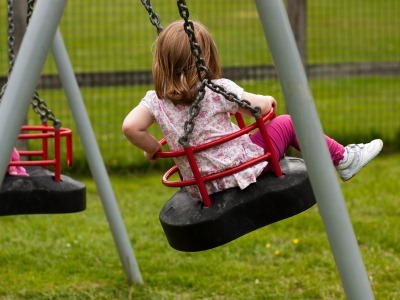 New regulations on the ‘eligibility criteria’ were passed by the National Assembly for Wales in July, but there was no discussion about children in the debate, reinforcing the way in which the act is dominated by provision for adult social care. The rest of the regulations and guidance are due to be presented to the Assembly in November. What does the new act do for looked-after children? A number of responses have identified the lack of provision for short breaks for disabled children and their families. Little progress has been made in clarifying duties to provide advocacy services. Regulations prioritise a placement in a Welsh local authority over one in an English local authority, but there may be geographical or other reasons why a placement in an English local authority is better for the child. Guidance on delegated authority to foster carers; contact, independent reviewing officers, and the use of voluntary accommodation is thin. There is a lack of meaningful visiting and support for young people detained in the secure estate, so that they largely fall outside protective provisions. For practitioners, it is difficult to envisage a full picture of the landscape in April 2016, but this may be clearer when the final parts 3 and 4 guidance is published.